Explaining ice hockey techniques becomes much more easier and time saving with illustrations. The Ice Hockey solution for ConceptDraw DIAGRAM is designed as a tool that helps produce ice hockey illustrations of any complexity in minutes. Sample 1. Ice Hockey Diagram – Deke Technique. "Offsides" is a very basic sports term, which can be very hard to explain to a novice. 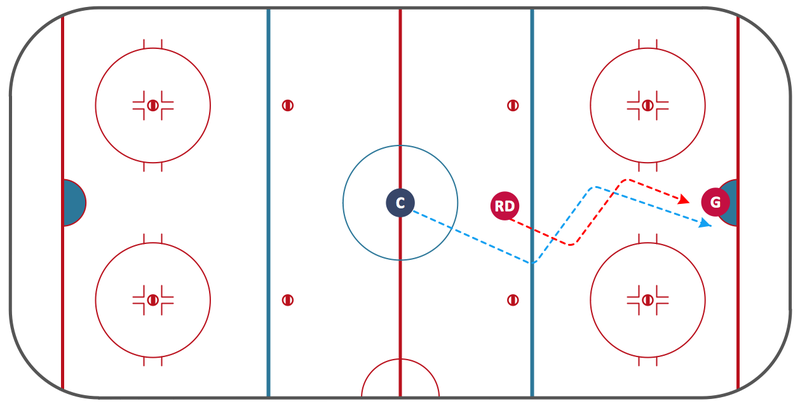 The fundamental concepts in sports can be extremely difficult to convey without a drawing, that's why we included an Offsides Sample in the Hockey solution. Explaining with ConceptDraw in your playbook is easier than ever before!